If you like art collections housed with the high-concept mantra of "Texas Chainsaw Massacre set on a manicured Parisian estate," then the Rodin Museum is quite uniquely for you. The Rodin Museum has its origins in plans for a children's school at the Hôtel Biron. After the French government successfully purchased the hôtel, its famous residents like Jean Cocteau, Henri Matisse, and Clara Westhoff all got the boot. This feat of reverse gentrification was nearly complete when one resident didn't take the treatment lying down. Auguste Rodin -- sculpting demigod of severed limbs and unfinished hell portals -- left his studio overlooking the hôtel's vast gardens, advanced through the lobby of candelabras and marble colonnades, approached whatever bureaucratic clown was attempting to turn this shrine of artistic grandeur into a palace of plebeian primary school education, grabbed him by the epaulets and, wild eyed, said something like, "Make this all me! The hallways, the gardens, the rooms will all be Rodin! No children, no teachers, just Rodin. Rodin......Rodin." The answer, as made clear today by the name change to Rodin Museum, was obviously Rodin #1, no children. In exchange for all the art in Rodin's back catalogue (from The Thinker and The Kiss, to IKEA bags full of severed limbs), the French government agreed to provide the seed money for a start-up Rodin museum. Visitors today discover gardens full of bronze and plaster renditions of the master's greatest works, like severed hands, severed heads, and shambling zombie torsos with neither heads nor arms. Besides 400 drawings and sculptures by Rodin on display, the museum also features works by Vincent Van Gogh, Claude Monet, and Pierre-Auguste Renoir, all of whom Rodin much admired and collected. Also featured are works by Camille Claudel, Rodin's student and mistress. Claudel died in an institution amid accusations that Rodin plagiarized her works. Please pay no attention to the Rodin Museum's use of Claudel's works to generate revenue. No irony to see here, folks, move along. Rodin's work is in the public domain in all countries but France, where the Rodin Museum protects "the artist's moral right." The artist's moral right being Orwellian control over who can sell what for how much. The Rodin Museum also governs which of the sculptor's works around the world are authentic originals and which are reproductions. Such determination is made -- in the most boring way possible -- via French parliamentary law, which states that the first twelve castings from a mould are original and every casting thereafter a reproduction. While the legal route is a good way to keep the process to a simple standard, we're uninterested in art authentication of any kind that doesn't lead either to treasure or the discovery of Jesus Christ's descendants. The Musée Rodin in Paris, France, is a museum that was opened in 1919, dedicated to the works of the French sculptor Auguste Rodin. It has two sites: the Hôtel Biron and surrounding grounds in central Paris and just outside Paris at Rodin's old home, the Villa des Brillants at Meudon (Hauts-de-Seine). The collection includes 6,600 sculptures, 8,000 drawings, 8,000 old photographs, and 7,000 objets d’art. The museum receives 700,000 visitors annually. Additionally, the Metro stop, Varenne, features some of Rodin's sculptures on the platform. The building is served by Métro (line 13: Varenne or Invalides), RER (line C: Invalides), and bus (69, 82, 87, 92). 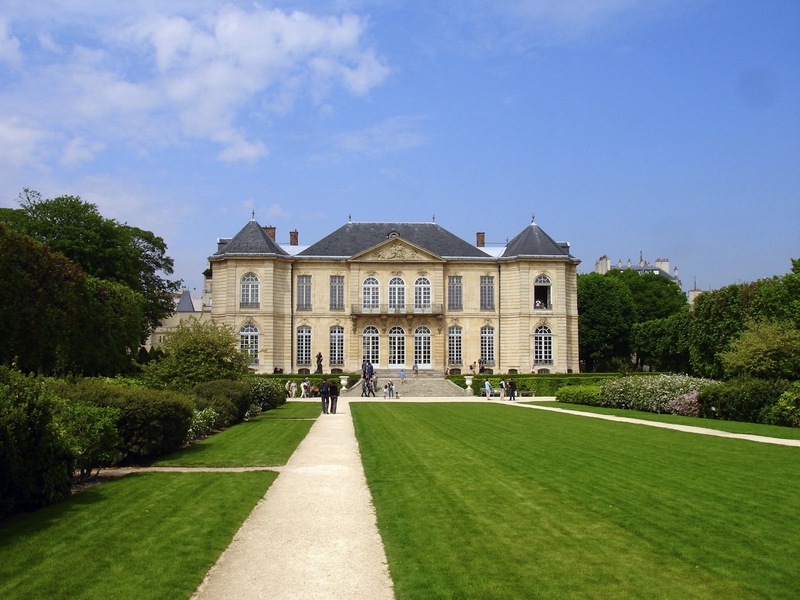 Check out the full Wikipedia article about Musée Rodin.